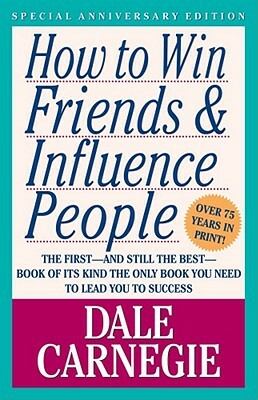 The August book of the month is “How to Win Friends and Influence People” by Dale Carnegie. This book is an amazing book that gives anyone the tools to simply connect with other human beings. It teaches the reader how to care about a person and in turn to get what you want from a person. Sounds a bit psychotic, but sincerity is key and without it forget about influencing anyone. It won’t work. Definitely an easy read. Spend about 30 minutes a day and you will complete the book in about 2 weeks. Each chapter gives you a new concept which you can meditate on and even tryout during your average day. Let us know what you think about the book! We decided to start a book of the month. The books will come from a list which is voted on by our team here at BetterMe. These books will focus on productivity, business, or just simply influential books. 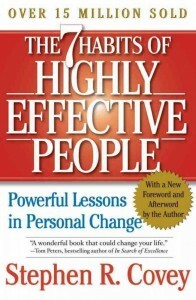 The July book of the month is, The Seven Habits of Highly Effective People. Some concepts from this book have been covered on our blog, but trust us when we say, we don’t do it justice. This is a great read with concrete take-aways to immediately start practicing new ways of thinking and doing.